Last major update issued on February 21, 2011 at 04:15 UTC. 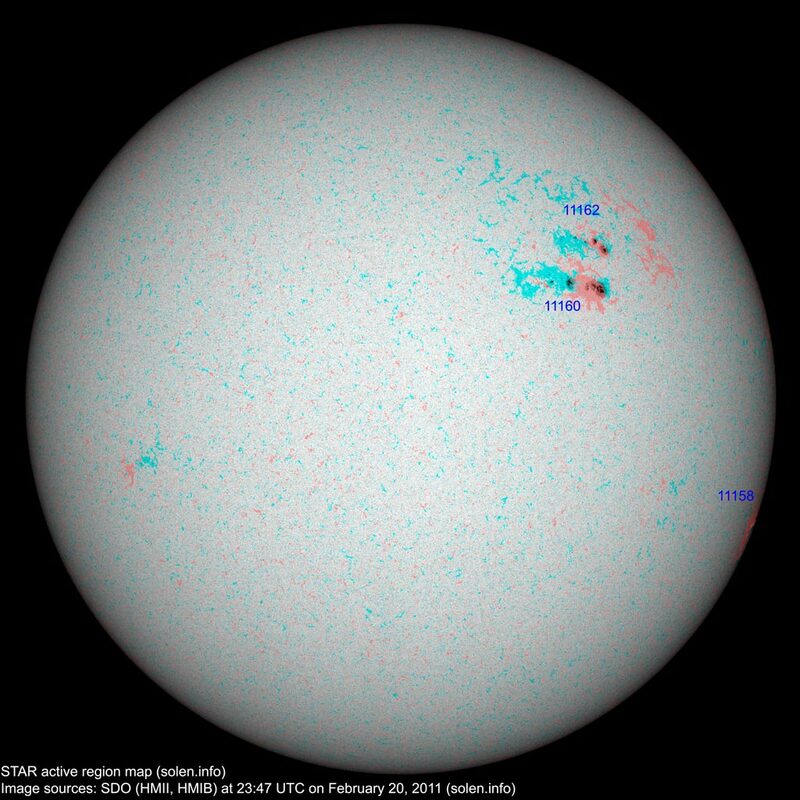 The geomagnetic field was quiet to unsettled on February 20. 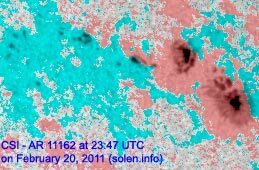 Solar wind speed ranged between 368 and 484 km/s. 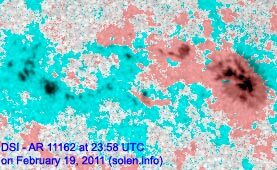 Solar flux measured at 20h UTC on 2.8 GHz was 104.6 (increasing 22.1 over the last solar rotation). The planetary A index was 7 (STAR Ap - based on the mean of three hour interval ap indices: 7.0). 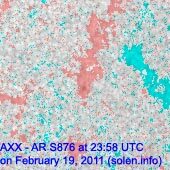 Three hour interval K indices: 11231222 (planetary), 12321232 (Boulder). 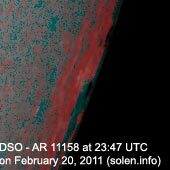 Region 11158 rotated partly out of view at the southwest limb. The region was quiet. 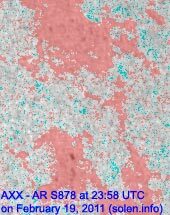 Region 11160 (SWPC duplicate number is 11161) decayed losing spots and most of the polarity intermixing. Flares: C1.2 at 01:23 and C1.7 at 03:57 UTC. Region 11162 decayed further and lost penumbra on the trailing spots. 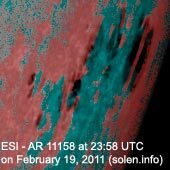 Flare: C1.4 at 03:19 UTC. February 18-20: No obviously Earth directed CMEs were observed in LASCO and STEREO imagery. 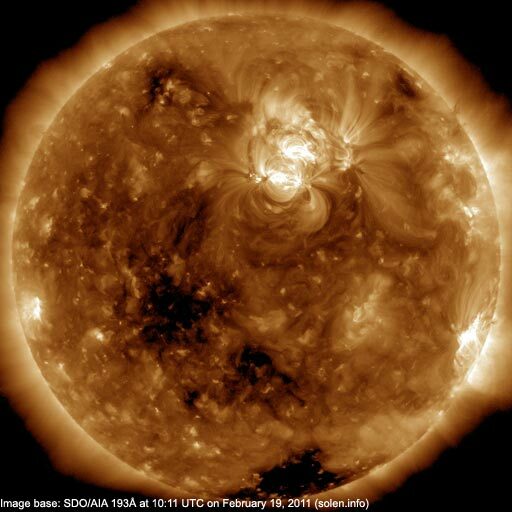 The geomagnetic field is expected to be quiet on February 21-23.